You need only to cruise the pavement of Central Florida and tally the number of OCSC magnets adorning vehicles for proof. 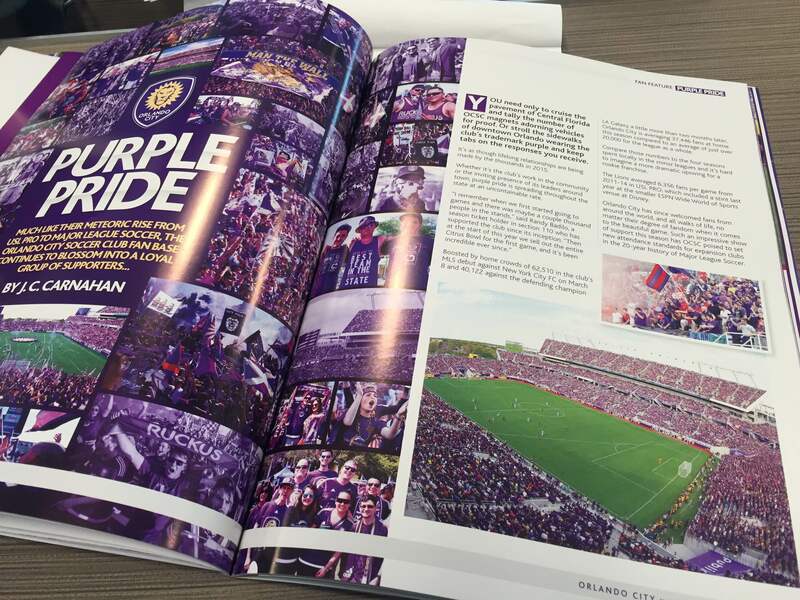 Or stroll the sidewalks of downtown Orlando wearing the club’s trademark purple and keep tabs on the responses you receive. It’s as though lifelong relationships are being made by the thousands in 2015. Whether it’s the club’s work in the community or the inviting presence of its leaders around town, purple pride is spreading throughout the state at an uncontainable rate. Boosted by home crowds of 62,510 in the club’s MLS debut against New York City FC on March 8 and 40,122 against the defending champion LA Galaxy a little more than two months later, Orlando City is averaging 37,446 fans at home this season compared to an average of just over 20,000 for the league as a whole. The Orlando City Soccer Club called the Florida Citrus Bowl home for three of their four seasons in USL PRO before spending last year at Disney’s ESPN Wide World of Sports. With an agreement reached late Wednesday between Major League Soccer and its players’ union, the Lions will make a grand return to the Citrus Bowl on Sunday for their first MLS match against New York City FC at 5 p.m. The club expects 62,000 fans to be on hand for what is shaping up to be the biggest sporting event in the area in recent memory. The last time OCSC played at the Citrus Bowl – on September 7, 2013 – Dom Dwyer scored four goals and the Lions claimed their second league title in three years with a 7-4 win over the Charlotte Eagles. The announced crowd that night? A respectable 20,886. 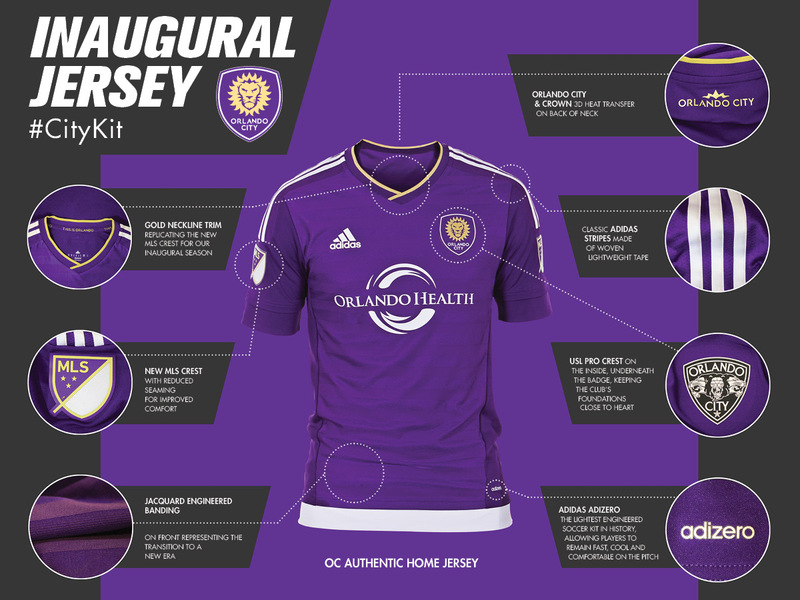 The Orlando City Soccer Club unveiled a new kit for the 2015 Major League Soccer season Wednesday. The club left no stone unturned when designing the new look, which honors its four minor league seasons with several different features. Check out the details in the photo below and marvel at its uniqueness, in all its purple glory. Don’t feel bad if you missed the final home game for New York Yankees shortstop Derek Jeter on Thursday. The amazing ending to Jeter’s 20-year career is most potent in the isolated video clip below. Jeter’s final at-bat came as it would in a sports film from Disney: Bottom of the ninth, game tied at 5-all with one out and a runner on second. Legend steps into batter’s box at Yankee Stadium for what is likely his final appearance in font of the hometown fans. Then… BOOM! The 40-year old swings at first pitch, sending a liner to right field and scoring the game-winning run. This kind of stuff doesn’t typically happen in real life. It’s been a week of transition for the Orlando City Soccer Club and its most loyal of fans, the two recognized supporter groups that gather at one end of the stadium each match and lead the crowd in passionate chants. Last night at the ESPN Wide World of Sports Complex at Disney the club implemented stiffer guidelines as they look to adhere to a more formal code of conduct for fans before moving up to Major League Soccer next year. It was a move that was forced upon the club after Orlando City fans brought embarrassment to the brand last Sunday during a road match against the Tampa Bay Rowdies, where four fans were arrested and many others ejected from the stadium.